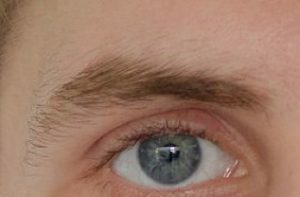 The main function of the eye brow is hypothesized to prevent sweat, water, and other debris from falling down into the eye socket, but they are also important to human communication and facial expression. It is not uncommon for people to modify their eyebrows by means of hair addition, removal and makeup. (Hello!) The psychological effects of eyebrows are also considerable. Eyebrows have an important facilitative function in communication, strengthening expressions, such as surprise, anger or sexiness. Many makeup artists view eyebrows as a major feature in defining the face. The eyebrows shape the human face and give definition to one’s eyes and forehead. A recent facial identification study revealed the brows to be more important than the eyes in making a positive ID. MicroBlading is a form of cosmetic tattooing; a rediscovery of a method dating back thousands of years which utilized hand-held blades to make fine incisions in the skin into which charcoal was rubbed! (They have actually found tattoos on mummies!) Today’s microblading technology utilizes a very precise manual tool with interchangeable needles for different effects. My brow experience was with a linear grouping of micro-needles that to the naked eye, looked like a very fine blade. The blade was dipped into pigment and then carefully drawn over the brow skin in hair-like strokes, simultaneously opening up the skin and depositing the pigment. A competent technician will be able to create a 3-D eyebrow that will trick you into believing its growing hair! There are many names for cosmetic tattooing including Dermapigmentation, 3-D Hair Strokes, Eyebrow Embroidery, Micro-Stroking and Feather Touch, but what needs to happen is this: Colored pigment is implanted in the basal layer of the epidermis and a translucent layer of protective skin grows over it. Your Permanent Cosmetics technician will draw the hair strokes of your new brow before beginning the tattooing process. This is the time to settle on the size, shape and color of your new brows. Some technicians use a specialized measuring device to assist in this process. Modern machines utilize a digital microprocessor and nano-needle technology which offer precise control over needle width and depth. Organic pigments are used in both techniques that allow the technician to decide which will work best for a particular client and remain truest to their original color. You will leave with a layer of healing ointment over your brows which you will reapply throughout the initial healing period of 5 days. Deeper healing will take about 4-6 weeks. Once the top layers of skin have grown over your brow and your old skin has peeled away, your color will have lightened and softened and you will be able to see the final effect of your new brows. This is why it is important to be patient during the healing period and not prejudge the results immediately after your treatment. Pain is mitigated by a topical numbing solution (lidocaine) which is applied before the treatment begins and several times throughout the procedure, as needed. MY RECENT TOUCHUP EXPERIENCE which yielded excellent results turned out to be a combination of both above techniques. I think it all comes down to the technician and placing your trust in that person. One tool or technique isn’t better than the other. NEW for me was having my eyeliner with a smudge line done by renowned Russian permanent makeup artist Anna Savina at a Chicago class she was teaching through BellaSense Med Spa. Anna’s classic European Permanent Makeup technique echoes the great Serbian master, Branko Babic. See their various YouTube posts for much more info. You can watch an entire brow evolve! 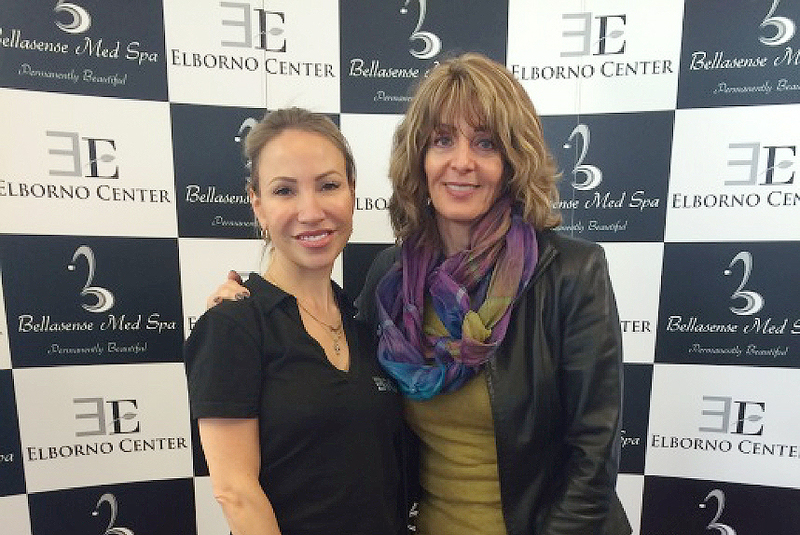 Wasan Amra at BellaSense MedSpa in Willowbrook did an excellent job on my eyebrow touchup. If you are interested in having permanent cosmetics done, I will be happy to refer you to a technician I know of and trust. You can also search for a technician in your area by visiting the Society of Permanent Cosmetic Professionals at www.spcp.com. Always ask to see photos of their work on other Alopecia clients before making your decision. I’m convinced that our needs are more challenging than their clients with growing hair!